DRYSUIT DIVER COURSE Stay dry. Stay warm. Dry suits can make diving more enjoyable any time water temperatures drop below the mid 70s — and are essential in water below 60°F, or when depths approach 100 feet and beyond. Dry suits open the door to activities such as deeper wreck diving and ice diving, and can extend your diving season well beyond just the warmest months of the year. Safely using dry suits, however, requires special training. That’s where the Just Add Water Dry Suit Diver specialty course comes in. Classroom/Pool Training: This is where you gain a basic understanding of what dry suit diving is all about, and get to develop many of the basic skills that are essential for this activity. Open Water Training: Here, over the course of two dives, you apply that knowledge and skills you developed in the classroom and pool, and refine them under real-world diving conditions. Successfully completing both open-water training dives qualifies you for Dry Suit Diver certification. Except as noted, classroom sessions take place either at our Willoughby or Fairview Park locations. The pool session is held at the same time and place as our regular Saturday beginning course pool dives. 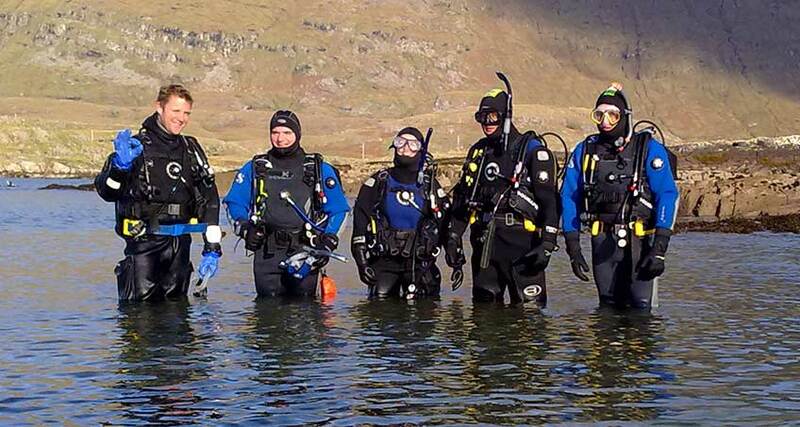 Locally conducted open-water training dives generally take place at White Star Quarry. Starting and ending times, as well as dates and times for pool and open-water training, will vary by location.